EASYPACK BLACK & TRS product of N.G.P. 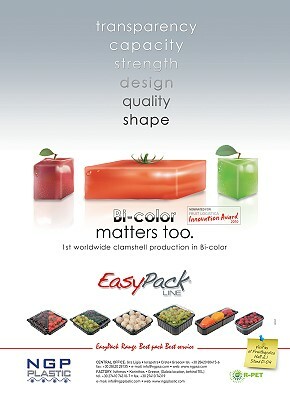 Plastic S.A. is one of the 10 finalists products nominated for this year Innovation Award of the international expo FRUIT LOGISTICA BERLIN 2010. The award will be granted through voting of the expo visitors.